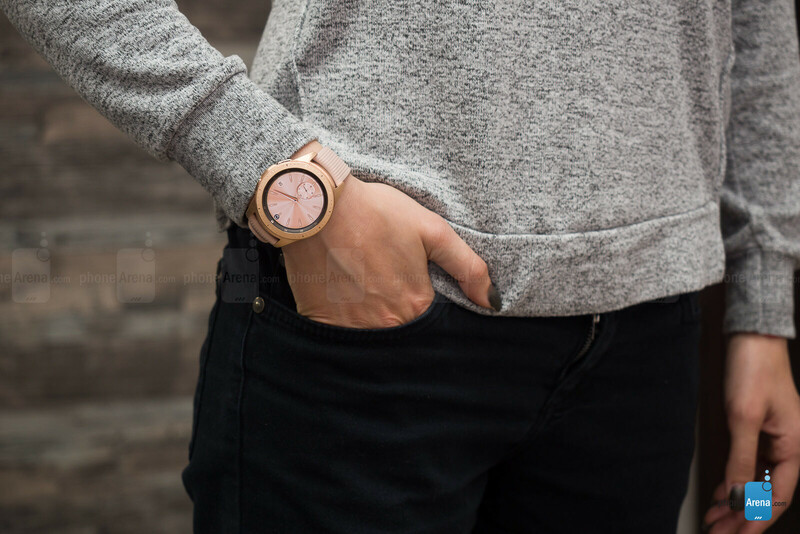 A smartwatch that’s more than just a great conversation starter. It tracks your activity and monitors your sleep, it plays music and handles mobile payments, and yes, it even tells the time with remarkable accuracy! 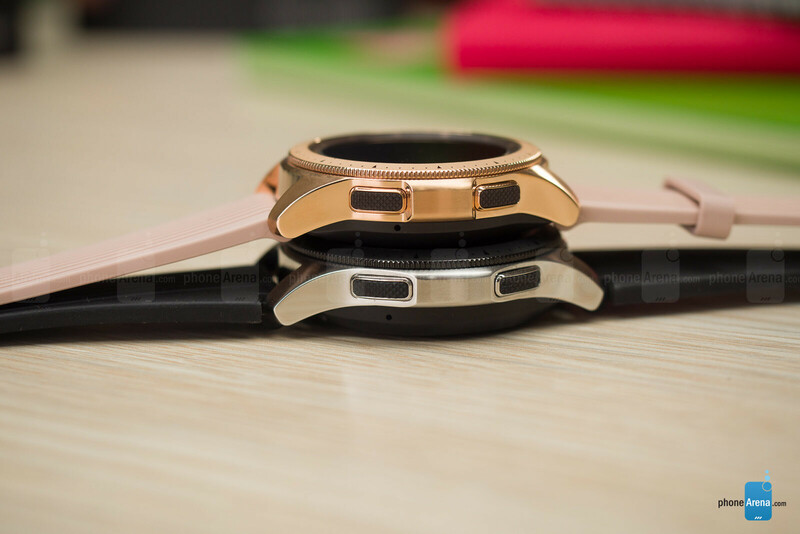 But is spending over $300 on Samsung’s latest smartwatch a wise investment? I used it for several weeks to find out. 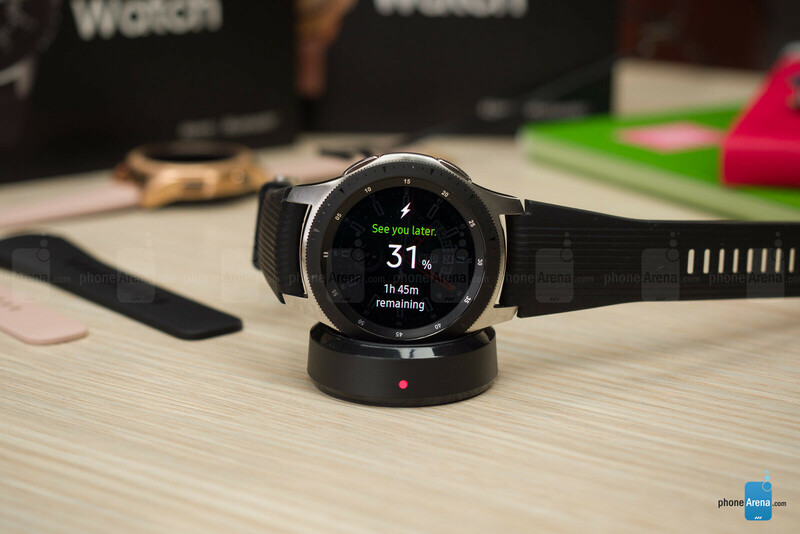 The age-old “if it ain’t broke, don’t fix it” mantra is in full effect here, as the Samsung Galaxy Watch looks and feels a lot like the company’s last few smartwatches. It retains the classic appearance and circular design, allowing it to look more like a lifestyle accessory and less like a geeky toy. Whether I’m at the office, out for dinner, or exploring the great outdoors, the watch doesn’t seem out of place on my wrist. What’s new is that the Samsung Galaxy Watch comes in two sizes. I wore the smaller, 42mm Galaxy Watch throughout the first week of my testing. 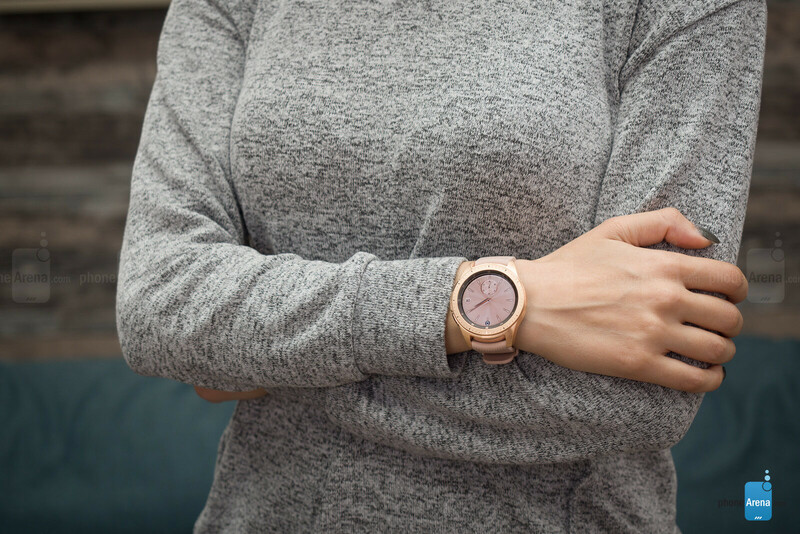 This model would more easily appeal to a broader audience not only because of its size, but also with the colors it comes in: the decidedly feminine Rose Gold (which we have here) and the much more neutral Midnight Black. However, most of my lady friends who gave it a try did find the watch rather thick. Meanwhile, the larger, 46mm Galaxy Watch only comes in Silver. It is thicker and noticeably heavier, with a pronounced masculine appearance. I also found it more likely to get caught in the sleeve of my shirt. But if you’re already used to wearing extra-large timepieces, then this is the model you should be considering. Admittedly, I got used to its size after wearing it for a couple of days and didn’t think about switching back to the smaller variant. By the way, the 42mm and 46mm sizes refer to the width of the body of the watch, not to the diameter of its display. 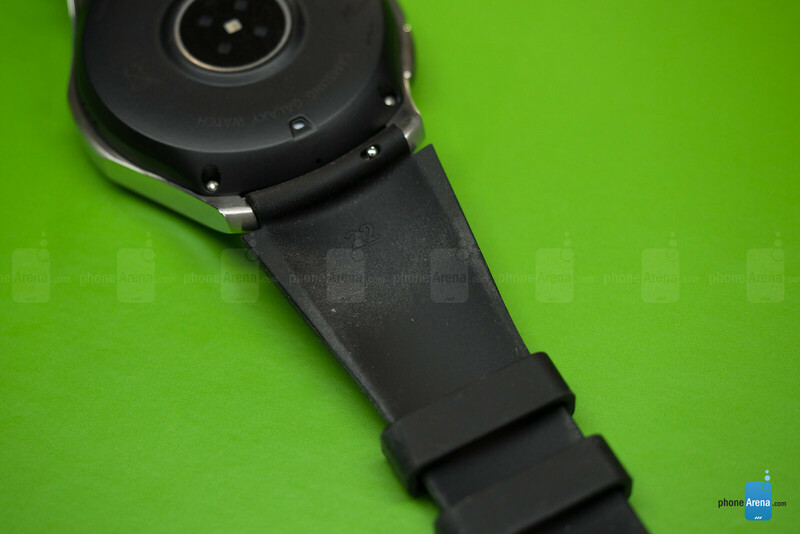 As far as durability goes, the Samsung Galaxy Watch is as tough as you’d expect. It is waterproof down to 50 meters so it is safe to swim with it. It complies with military standards for resistance against shock, extreme temperatures, solar radiation, and other environmental factors. The display is protected by the raised bezel around it, as well as by a layer of Gorilla Glass DX+ scratch-resistant glass developed with watches in mind. And the stainless steel construction resists dents and scratches much better than aluminum would. After several weeks of use, my review units are showing no signs of wear or physical damage. 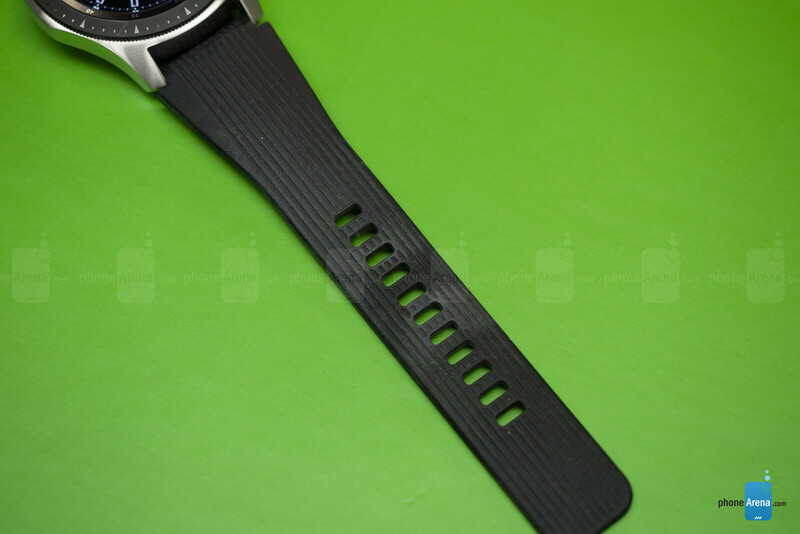 The soft, rubbery band supplied by Samsung is nice and bendy, and the metal clasp ensures a reliable fit. There’s a bit of stretch to it, which helps with comfort. 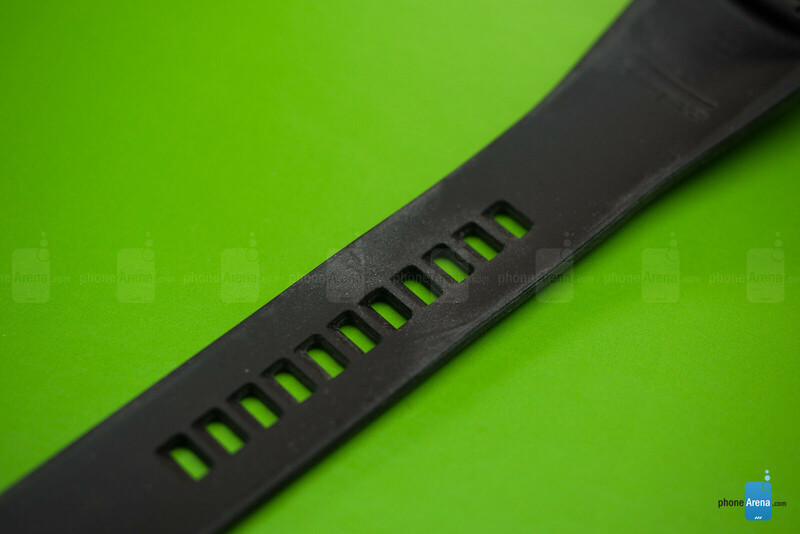 The only issue that I noticed was that the strap bundled with my 46mm model easily attracts dust and dirt, but a wet towel cleans it easily. 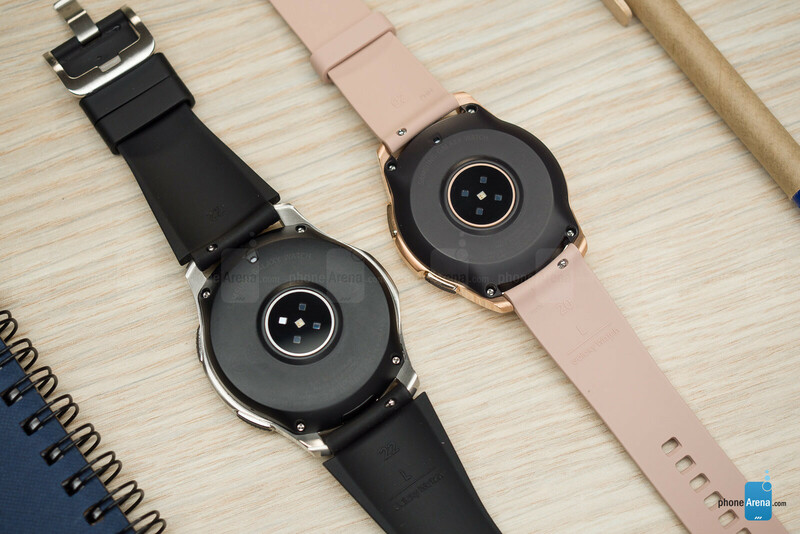 Since the band mechanisms are not proprietary, they can be replaced with standard 20- or 22-mm bands, depending on whether you have the 42mm or 46mm Galaxy Watch. 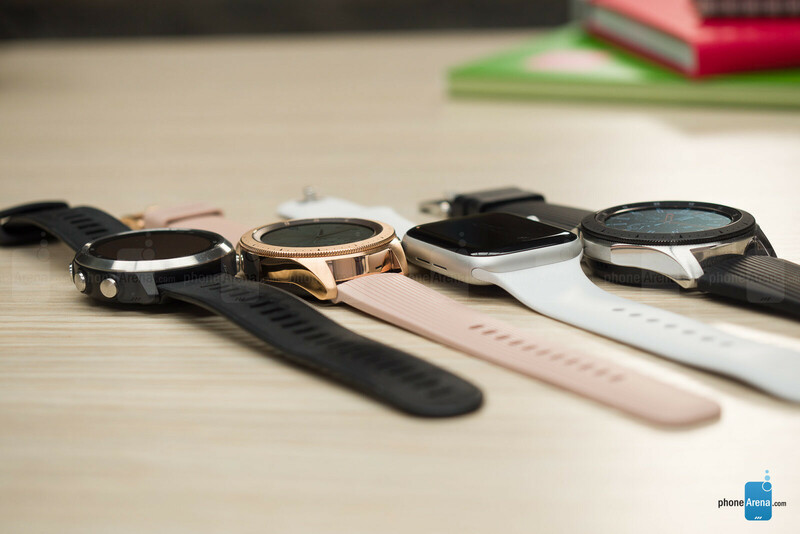 Samsung itself is offering leather bands for about $40 apiece. 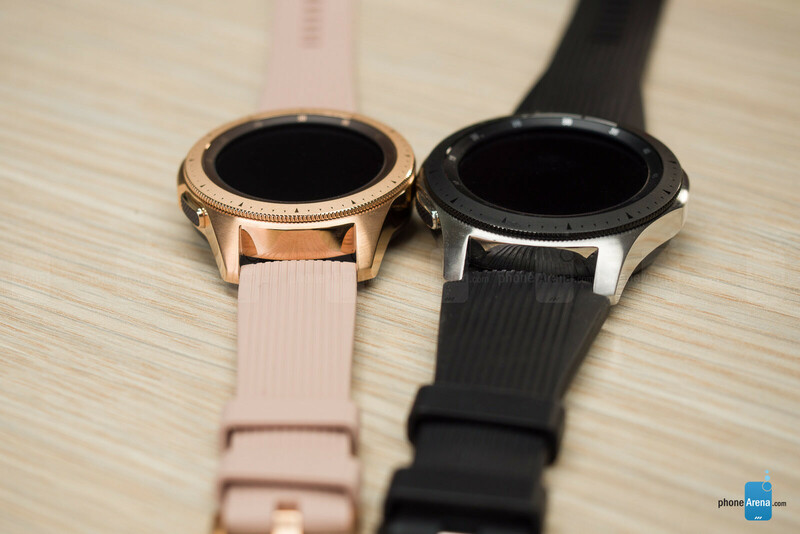 The 42mm and 46mm Galaxy Watch models come with 1.2- and 1.3-inch displays respectively, both with a resolution of 360 by 360 pixels. Colors are vivid, outdoor visibility is excellent, and text is always displayed in white against a black background, so it is sharp and easy to read. Moreover, since these are OLED screens we’re dealing with, having the watch face always on is an option – although one disabled by default as it shortens battery life. I kept it on nonetheless because it looks awesome. Samsung‘s trademark rotating bezel is one of the coolest Galaxy Watch features. For those not familiar, it is used for navigating through the interface – for switching between widgets, for example, or for scrolling down an email without obscuring anything on the screen with your finger. All in all, the bezel is a welcome convenience, and there’s something oddly satisfying about the way it clicks with each rotation. Additionally, there are two more buttons on the side – one that takes you back a step and another for accessing the app drawer or going back to the home screen. As any other touchscreen, the one on the Galaxy Watch may become less responsive as moisture accumulates on it during intense exercises, but I didn’t run into any major issues with it. A special mode locks the display while tracking swimming exercises. 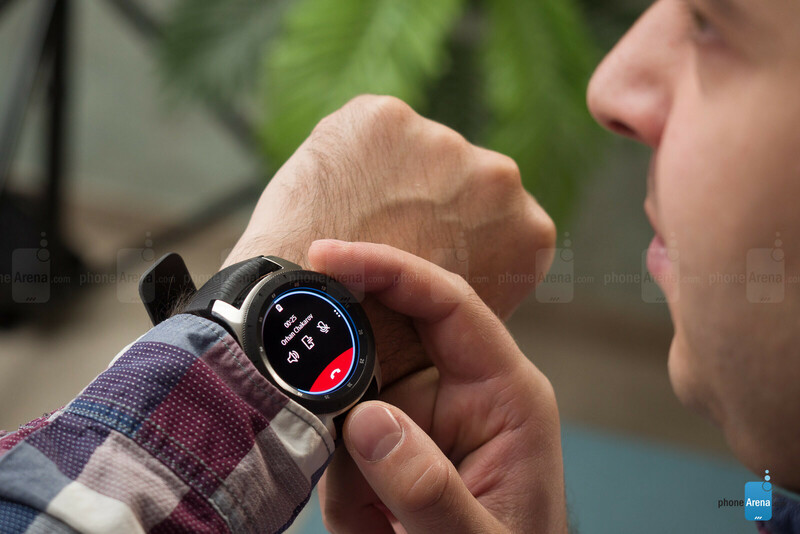 The Galaxy Watch runs Samsung‘s own Tizen 4 operating system, which excels in many key areas, one being speed. 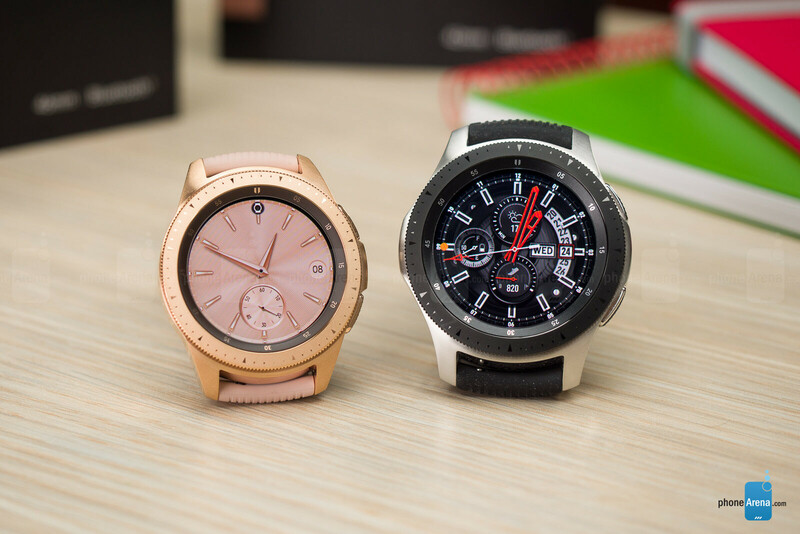 Both sizes are powered by a new, dual-core Exynos 9110 chip which is both more powerful and more power-efficient than those used in previous Samsung smartwatches. Navigation is swift, and the UI responds instantly to input. Slowdowns are rare and have a negligible impact on the user experience. 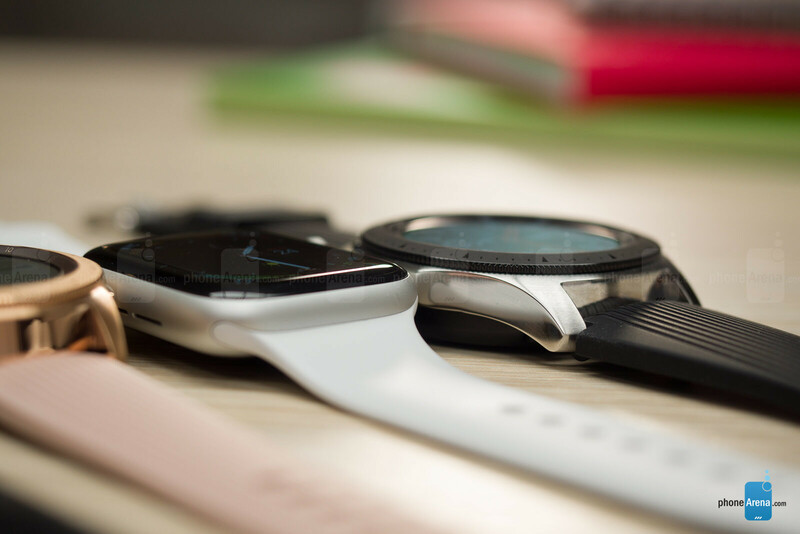 It is worth noting that we have the non-LTE Galaxy Watch models for review. These come with 768MB of RAM, while the LTE versions have twice as much, and that might result in even faster performance. The software itself is easy to get the hang of. Your watch face serves as a “home screen”, naturally, and raising your wrist turns the screen on. From there, much of the navigation can be done conveniently through twists of the rotating bezel. Turning it to the left takes you to your notifications, and you cycle through your widgets by a turn of the bezel to the right. There’s also an app drawer which is accessed by a press of a button on the right side. A swipe down from the top of the screen give access to quick settings and status information. 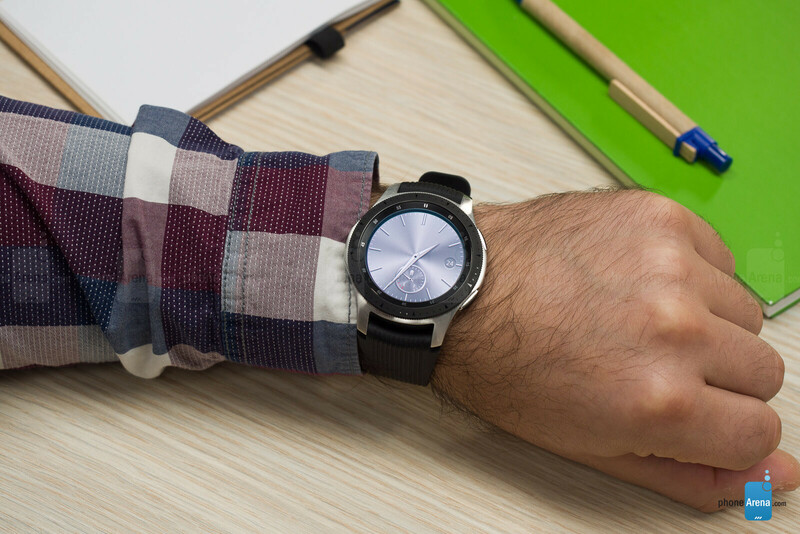 Notifications arrive on the Samsung Galaxy Watch only moments after they appear on your phone, and dismissing them on one device makes them disappear from the other as well. Neat! You can respond to incoming messages with a predefined answer, by typing or swiping in your response, or by using voice input. As you’d expect, typing on a tiny on-screen keyboard can be frustrating, so I used primarily Samsung‘s more convenient swipe input method where you swipe letters on the touchscreen one by one. By twisting the rotating bezel to the right, you cycle through your widgets, and once I configured these to my liking, no action felt like it took too many steps to perform. The selection of widgets covers all essential needs: weather information, app shortcuts, quick access to contacts, reminders, music playback controls, and many more. Dedicated widgets also let you easily start an exercise, view your activity at a glance, or measure your pulse or stress level. 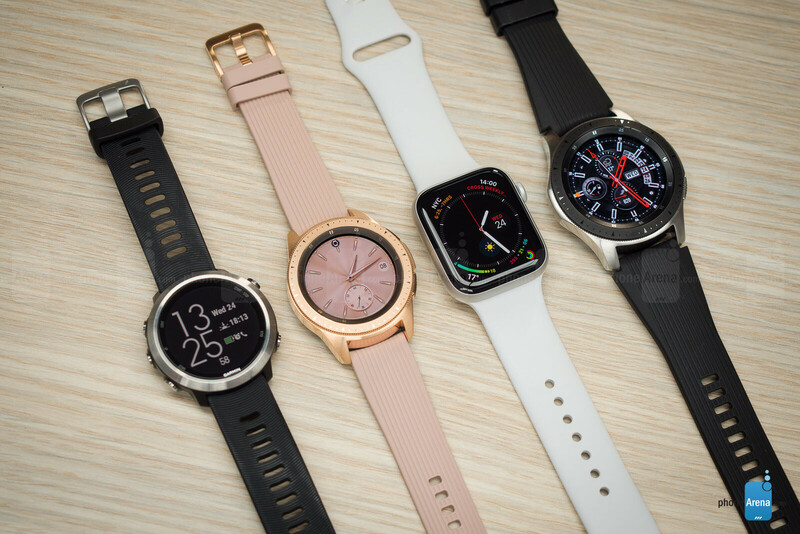 Samsung has equipped the Galaxy Watch with a fair amount of customizable watch faces designed to fit most user’s needs. Some have a clean and classic design, while others are sportier, with complications displaying activity stats. 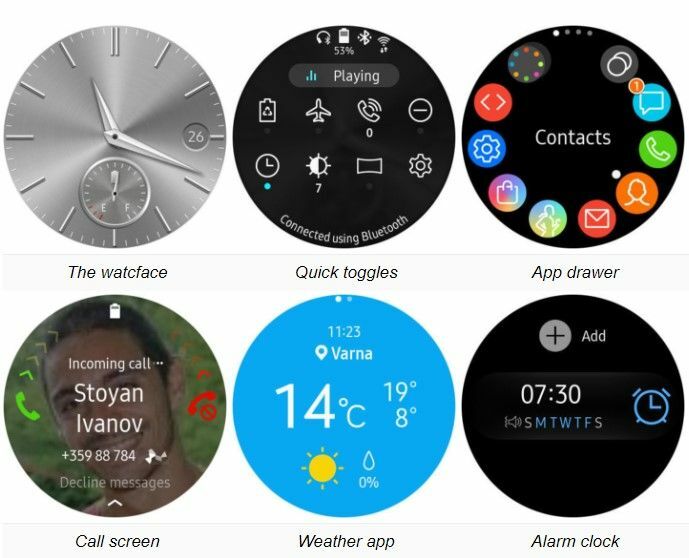 Out of the box, the selection isn’t very broad, but many more watch faces are available for download from the Galaxy Apps store. 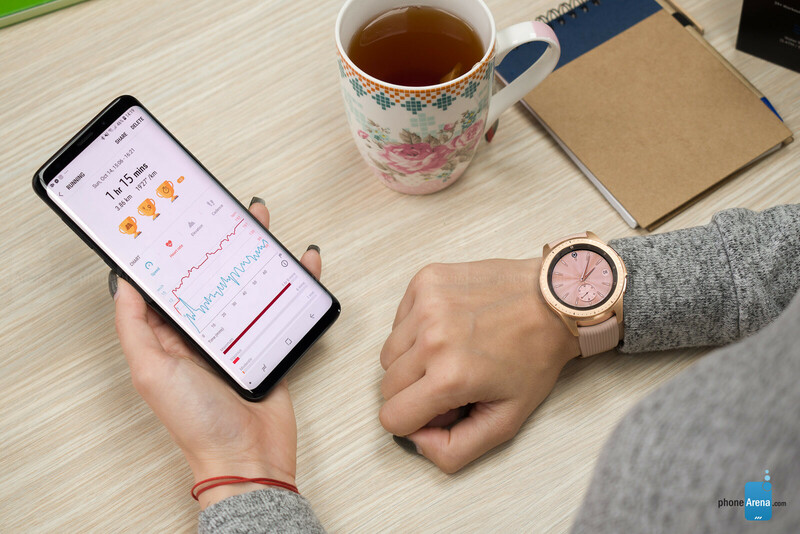 Bixby – Samsung‘s virtual assistant – is present on the Galaxy Watch and can be triggered with a double press of a button on the side. This lets you use voice commands to do things like calling a friend, starting an exercise, asking for the weather or setting a reminder. All in all, Bixby has the basic covered, but it leaves room for improvement. Her voice, for instance, is decidedly robotic, unlike that of Siri or the Google Assistant. Secondly, she can be a bit slow with her responses, and I run into multiple issues, such as troubles with setting reminders. When I asked questions like “How long is a marathon?” or “What is 24 miles in kilometers”, I was asked to check those on my device instead. “Time to get moving!” – this is the message that pops up every time when I’ve been sitting on my desk for too long. Inactivity reminders may be annoying, but they’re ultimately for our own good, and I’m glad to see them present on the Galaxy Watch. you’ve traveled along with a map of your trip (if relevant), the calories you’ve burned, and the heart rate zones you spent time in. But I ran into issues as well. For example, there are presets for squats and jumping jacks, but the watch has a hard time keeping count of my repetitions. I ended up doing twice as many reps because the watch simply couldn’t detect that I’ve jumped or squatted. My legs still hurt a bit. 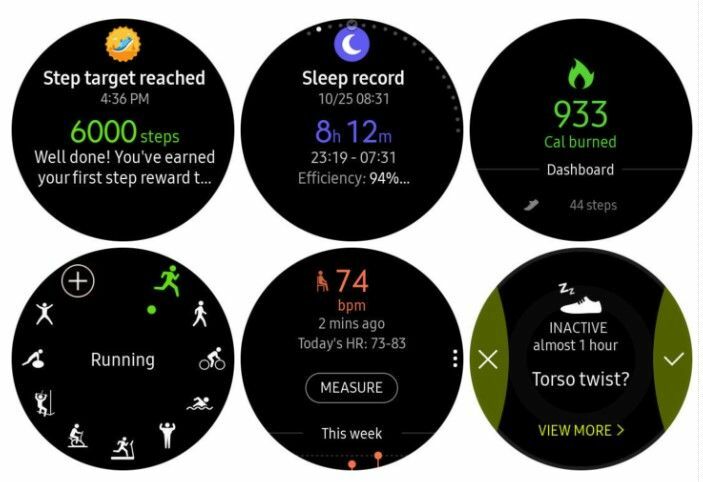 Sleep tracking is also available on the Galaxy Watch. In the morning, I’m given a breakdown of my sleeping stats, including how much time I’ve actually spent sleeping and how much time I’ve spent in each stage: Light, Deep, and REM sleep. Samsung‘s sleep tracking definitely works, but I really wish I was given a clearer idea of whether my sleep patterns are normal. With the way stats are currently displayed, I don’t see a clear indication of whether the 2 hours of REM sleep that I got last night are enough and whether I should do something about it. Also, I find sleeping with the Galaxy Watch on my wrist rather uncomfortable. 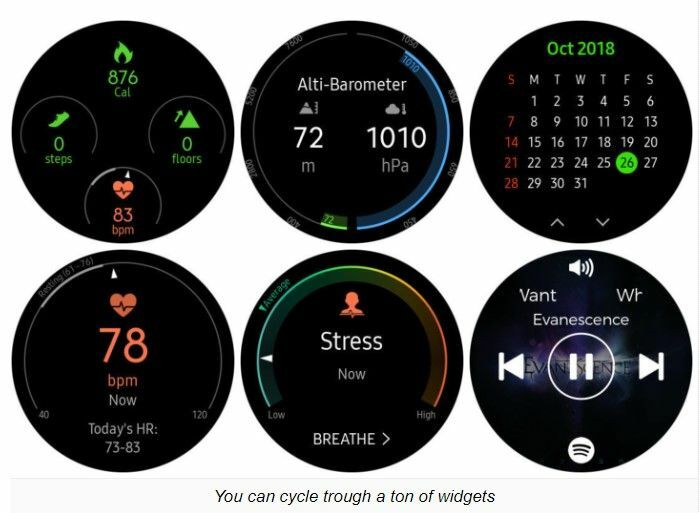 Stress monitoring is another new feature of the Galaxy Watch. By default, stress is measured manually on demand, but you can have it measured constantly. This, however, has a noticeable impact on battery life. If a high stress level is detected, the Galaxy Watch will suggest a brief breathing exercise to calm you down. Personally, I’m not convinced in the accuracy of these readings. At times when I did feel pretty stressed, such as when nearing a deadline at work or after 30 minutes of driving during rush hour, the needle was still pointing at a stress level below the average. 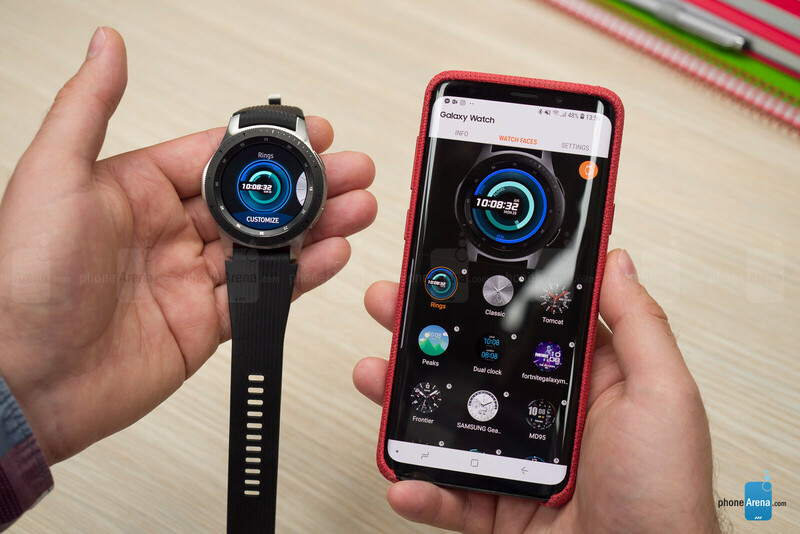 Throughout my testing, I used the Samsung Galaxy Watch together with a Galaxy S9+smartphone. 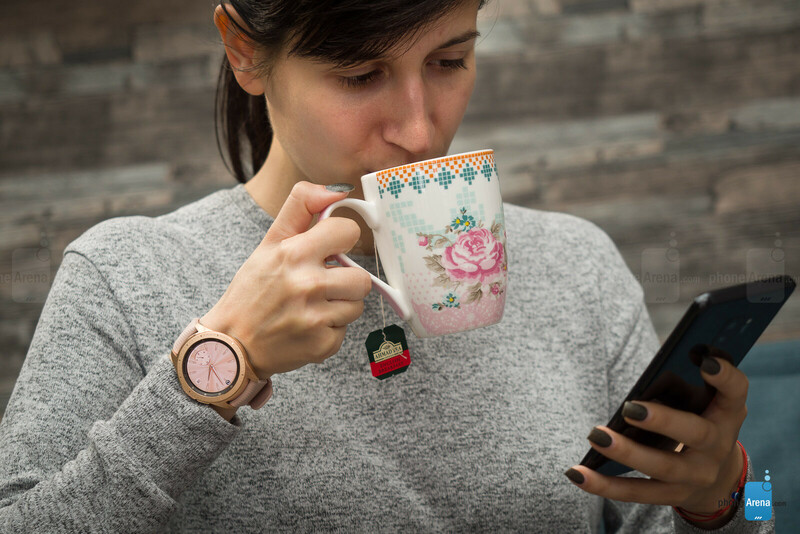 Pairing was quick and easy, as the phone automatically detects the presence of the wearable nearby and initiates the setup process at the press of a button. 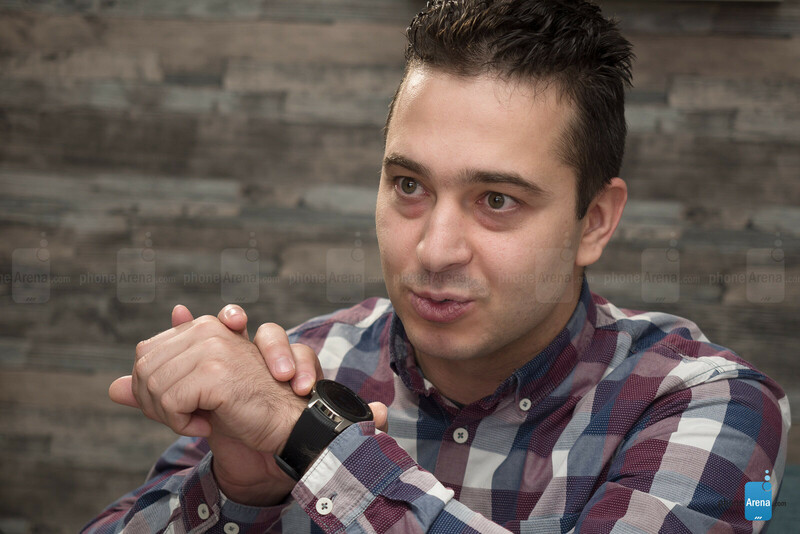 The watch works with iPhones and non-Galaxy Android phones as well, although your experience may differ. Samsung Pay, for example, can’t be used when the watch is paired with an iPhone. 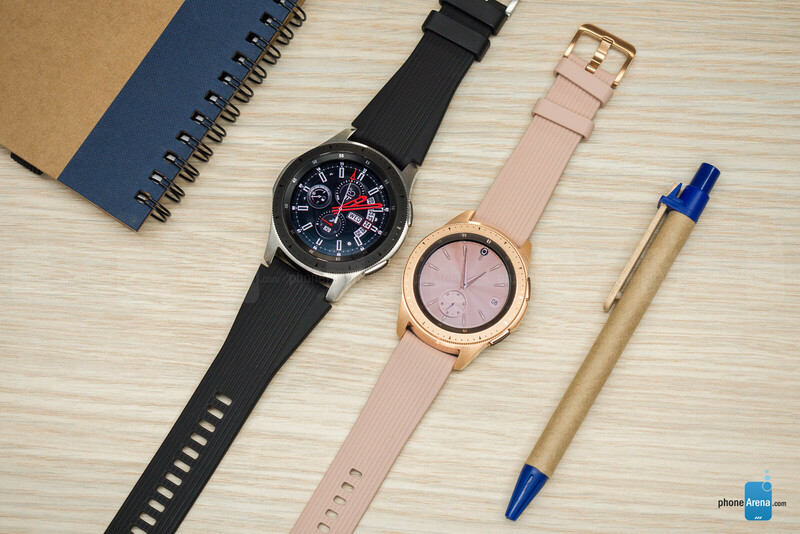 The Galaxy Watch talks to your smartphone over Bluetooth and maintains a decent connection within a range of at least 30 feet. Once it falls out of range, it will search for a known Wi-Fi network, and it is neat that all Wi-Fi passwords stored on my Galaxy phone were automatically transferred to the watch. Notifications from my phone did arrive even when I was on Wi-Fi, albeit with some delay. The only annoyance that I noticed was that it takes about a minute for the watch to connect to Wi-Fi once Bluetooth connectivity is lost. GPS connectivity is on board for precise location tracking during exercises. In addition, NFC is available for making mobile payments via Samsung Pay. However, you can’t use the watch with older terminals using a magnetic stripe. Samsung is also offering LTE variants of the Galaxy Watch, thus enabling it to be online all the time. LTE can be useful for streaming music without having your phone around, as well as for making calls or sending texts. We’re not sure how much of an impact LTE connectivity would have. 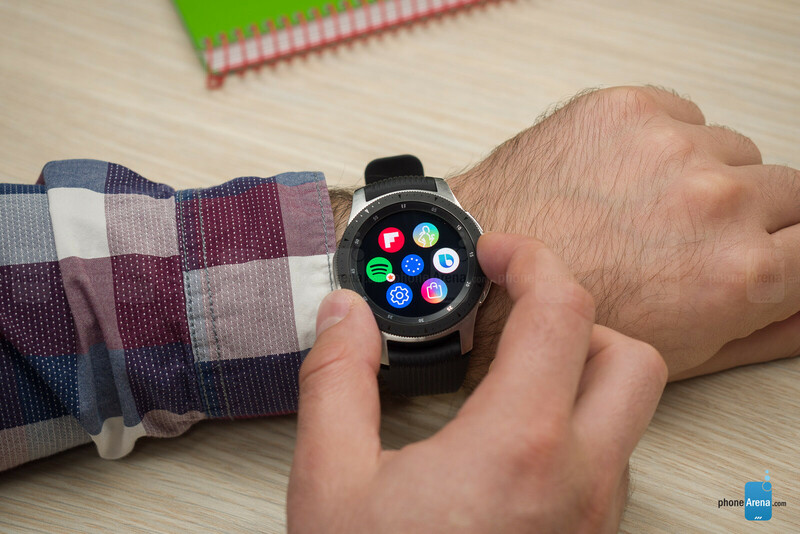 Whether you have an LTE model or not, the Samsung Galaxy Watch can be used to make phone calls. On a non-LTE model, the watch simply acts as a Bluetooth speaker while the call itself is handled by your phone. Call quality isn’t stellar, but it is acceptable. The speaker built into the watch is sufficiently loud and produces clear voice tones. Voices do sound muffled and digitized on the other side of the line, but having a conversation in a relatively quiet environment is definitely possible without much effort. If you ever want to, you have the option to copy images and music from your phone to your Galaxy Watch. There are 4GB of built-in storage (about 2.5GB user-available), which is less than what an Apple Watch offers, but enough to store several hundred songs. Spotify is available for download on the Galaxy Watch. This allows you to stream music over Wi-Fi or LTE and listen to your playlists during exercises, or simply download audio for offline use. Music can be listened to from the watch’s built-in speaker, but I would strongly recommend pairing the wearable to a set of Bluetooth headphones instead. While tracking an exercise, playback controls are easily accessible with a twist of the bezel to the left. By the way, I had numerous connectivity issues with Spotify on my review unit, but these were rectified through a recent software update. It now works just fine and maintains a strong connection with my wireless earphones. 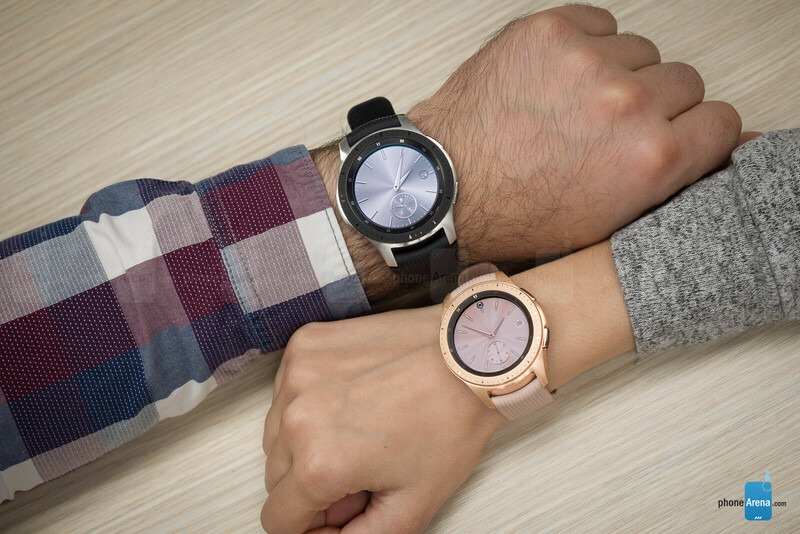 Just like Samsung’s last few smartwatches, the Galaxy Watch delivers solid battery life. The smaller, 42mm variant easily lasted through 2 full days between charges, while the bigger, 46mm model got me through 3 full days – with the screen always enabled on both. Disabling the Always-On Display feature makes them last a day extra. Of course, your mileage may vary, depending on how you’re using your Galaxy Watch. Music listening over Bluetooth, for example, takes its toll. On the bigger Galaxy Watch, Spotify consumes 13% of battery life when streaming over Wi-Fi and 10% if you’re listening offline. Fortunately, Sleep tracking consumes only about 7% per night. Both Samsung Galaxy Watch models require around 2 hours and 20 minutes to charge completely. That’s not particularly fast, but if just give them a quick, 30-minute boost as you’re getting ready for work, you’ll have enough charge in the tank to last through the day. Charging is done by placing the watch on the provided magnetic wireless charging stand. A smartwatch is still the kind of gadget that you don’t necessarily need, but having one is kinda neat nonetheless. Sure, it is yet another gizmo that you have to charge regularly, but you gain more than just a timepiece that glows in the dark. It helps you keep track of your schedule, it tells you precisely how active (or inactive) you are, and it conveniently delivers your notifications to your wrist. To those in the market for a smartwatch, the Samsung Galaxy Watch is easy to recommend. It is fast, good-looking, and has great battery life for a device of its class. But it isn’t quite the smartwatch for everyone. iPhone users, for instance, would still be better off with a last-gen Apple Watch, while serious athletes and fitness enthusiasts will be probably served better by other brands. 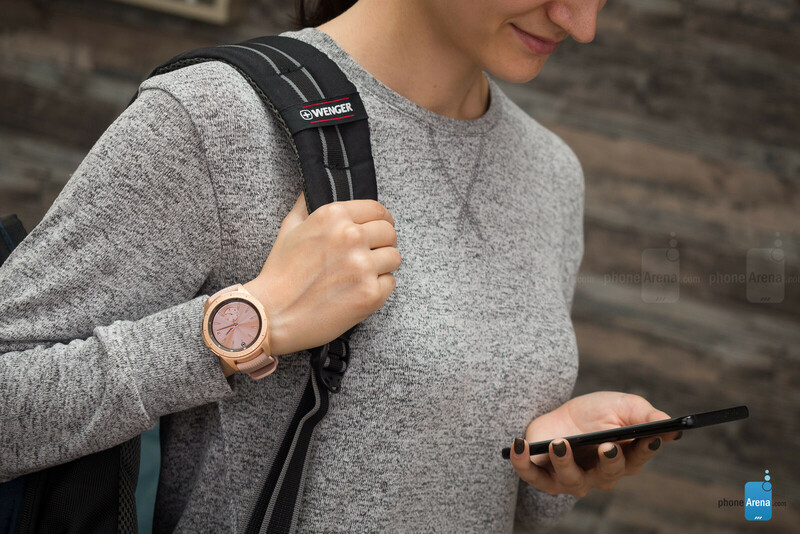 For the rest of us – who may be looking for a high-tech lifestyle accessory blending style, function, and self-expression – the Galaxy Watch would be a great choice. Currently, the Samsung Galaxy Watch starts at $330 for the 42mm model and $350 for the bigger, 46mm variant. Adding LTE with T-Mobile to the list of features brings the prices up to $380 and $400, respectively. That’s not exactly pocket change, but not expensive either, seeing that Samsung’s most expensive Galaxy Watch model costs as much as the cheapest Apple Watch Series 4. Whether it’s a worthy investment is totally up to you to decide.